This oil, part of the Mediterranean diet, is a traditional fat that has been a dietary staple for some of the world’s healthiest populations. There is actually quite a bit of research behind the health effects of olive oil. These studies show that the fatty acids and antioxidants in it have some powerful health benefits, such as a reduced risk of heart disease. What is Olive Oil and How is it Made? Olive oil is oil that is pressed from olives, the fruits of the olive tree. The process is incredibly simple… you just press the olives and the oil comes out. But there is still one major problem with olive oil… it isn’t always what you think it is. Some lower quality versions can be extracted using chemicals, or even diluted with other cheaper oils. Therefore, buying the right type of olive oil is incredibly important. The best type is extra virgin olive oil. It is extracted using natural methods and standardized for purity and certain sensory qualities like taste and smell. Olive oil that is truly extra virgin has a distinctive taste and is high in phenolic antioxidants, the main reason why (real) olive oil is so beneficial. Then we have regular, refined or “light” olive oils, which have often been extracted with solvents, treated with heat or even diluted with cheaper oils like soybean and canola oils. For this reason, the only type I recommend is extra virgin olive oil. But keep in mind that there is a lot of fraud going on in the olive oil market and it is essential to buy from a reputable seller. Even oil that is labelled as “extra virgin” may have been adulterated with cheaper oils. Bottom Line: Real “extra virgin” olive oil is 100% natural and very high in antioxidants. 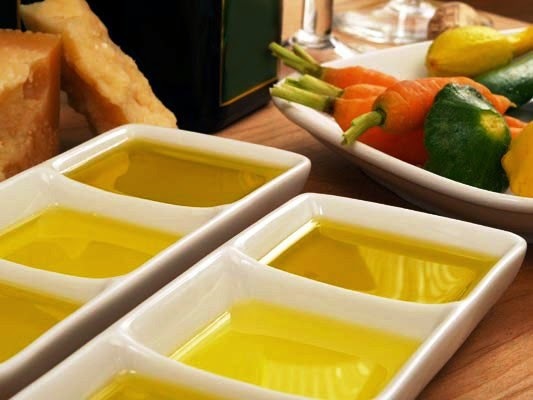 Many of the lower quality olive oils have been processed and adulterated with cheaper oils. Extra virgin olive oil is fairly nutritious. It contains modest amounts of Vitamins E and K and plenty of beneficial fatty acids. Monounsaturated Fat: 73% (most of it the 18 carbon long oleic acid). Vitamin E: 72% of the RDA. Vitamin K: 75% of the RDA. But where extra virgin olive oil really shines is in its content of antioxidants. These substances are biologically active and some of them can help fight serious diseases. Some of the main antioxidants are the anti-inflammatory oleocanthal, as well as oleuropein, a substance that protects LDL cholesterol from oxidation. Some people have criticized olive oil for having a high Omega-6 to Omega-3 ratio (over 10:1), but keep in mind that the total amount of polyunsaturated fats is still relatively low, so this shouldn’t be a cause for concern. Bottom Line: Olive oil is very high in monounsaturated fats and contains a modest amount of vitamins E and K. True extra virgin olive oil is loaded with antioxidants, some of which have powerful health benefits. It is believed that chronic inflammation is among the leading drivers of many diseases. This includes heart disease, cancer, metabolic syndrome, diabetes, Alzheimer’s and arthritis. There is some evidence that oleic acid itself, the most prominent fatty acid in olive oil, can reduce inflammatory markers like C-Reactive Protein. But the main anti-inflammatory effects seem to be mediated by the antioxidants in olive oil, primarily oleocanthal, which has been shown to work like ibuprofen, a popular anti-inflammatory drug. Researchers estimate that the amount of oleocanthal in 50 ml (about 3.4 tablespoons) of extra virgin olive oil has an effect similar to 10% of the adult ibuprofen dosage for pain relief. Keep in mind that chronic, low-level inflammation is usually fairly mild and it takes years or decades for it to do damage. Eating plenty of extra virgin olive oil may help prevent this from happening, leading to a reduced risk of various inflammatory diseases… especially heart disease. Bottom Line: Olive oil contains oleic acid and oleocanthal, nutrients that can fight inflammation. This may be the main reason for olive oil’s health benefits. Cardiovascular diseases (heart disease and stroke) are the most common causes of death in the world. Many observational studies show that death from these diseases is low in certain areas of the world, especially the countries around the Mediterranean Sea. This observation originally spurred interest in the Mediterranean Diet, which is supposed to mimic the way the people in those countries eat . Studies on the Mediterranean Diet show that it can help prevent heart disease. In one major study, it reduced heart attacks, strokes and death by 30%. Reduced Inflammation: As mentioned above, olive oil protects against inflammation, a key driver of heart disease. LDL Cholesterol: Olive oil protects LDL particles from oxidative damage – a key step in the heart disease process. Improves Endothelial Function: Olive oil improves the function of the endothelium, which is the lining of the blood vessels . Blood Clotting: Some studies suggest that olive oil can help prevent unwanted blood clotting, key features of heart attacks and strokes. Lower Blood Pressure: One study in patients with elevated blood pressure found that olive oil reduced blood pressure significantly and cut the need for blood pressure meds by 48%. Given the known biological effects of olive oil, it is not surprising to see that people who consume the most of it are significantly less likely to die from heart attacks and strokes. This really is just the tip of the iceberg. Dozens (if not hundreds) of studies in both animals and humans have shown that olive oil has major benefits for the heart. I personally think the evidence is strong enough to recommend that people who have heart disease, or are at a high risk of getting it (family history, for example), should make sure to include plenty of extra virgin olive oil in their diets. Although mostly studied for its effects on heart health, olive oil consumption has also been associated with a number of other health benefits. Studies have shown that people in the Mediterranean countries have a fairly low risk of cancer and some have speculated that olive oil has something to do with it. One potential contributor to cancer is oxidative damage due to free radicals, but extra virgin olive oil is high in antioxidants that reduce oxidative damage. The oleic acid in olive oil is also highly resistant to oxidation and has been shown to have beneficial effects on genes linked to cancer. Many studies in test tubes have shown that compounds in olive oil can help fight cancer at the molecular level. Whether olive oil actually helps prevent cancer has yet to be studied in human controlled trials. Alzheimer’s disease is the world’s most common neurodegenerative disease and a leading cause of dementia. One feature of Alzheimer’s is a buildup of protein tangles called beta amyloid plaques, in certain neurons in the brain. A study in mice showed that a substance in olive oil can help to clear these plaques from the brain. 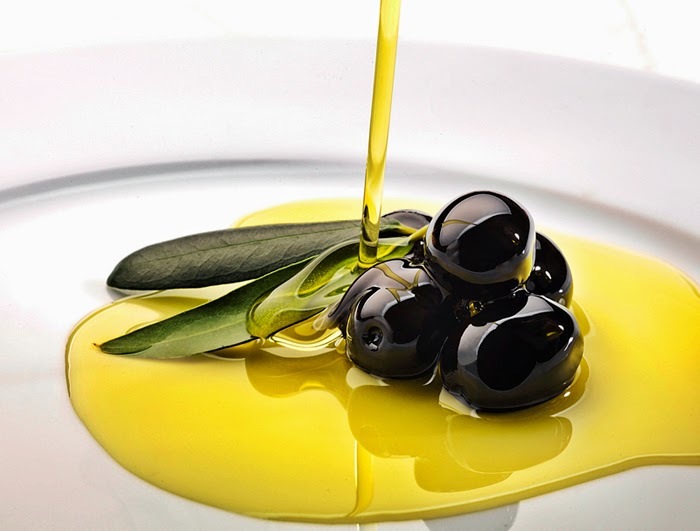 A human controlled trial showed that a mediterranean diet enriched with olive oil had favorable effects on brain function and reduced the risk of cognitive impairment. Bottom Line: There is preliminary evidence that olive oil can help fight cancer and Alzheimer’s disease, although this needs to be confirmed in human controlled trials. Can You Cook With it? During cooking, fatty acids can oxidize. That is, they react with oxygen and become damaged. It is mostly the double bonds in the fatty acid molecules that are responsible for this. For this reason, saturated fats (no double bonds) are resistant to high heat, while polyunsaturated fats (many double bonds) are sensitive and become damaged. It turns out that olive oil, which contains mostly monounsaturated fatty acids (only one double bond), is actually fairly resistant to high heat. In one study, researchers heated extra virgin olive oil to 180 degrees Celsius (356 degrees Fahrenheit) for 36 hours. The oil was highly resistant to damage. Another study used olive oil for deep frying, and it took 24-27 hours for it to reach damage levels that were deemed harmful. Overall, olive oil seems to be very safe… even for cooking at a fairly high heat. Olive oil is super healthy. However… it is extremely important to get the right stuff. That is, extra virgin olive oil that hasn’t been diluted with cheaper oils. The benefits of this wonderful fat are among the few things that most people in nutrition actually agree on. Now that’s something you don’t see often.